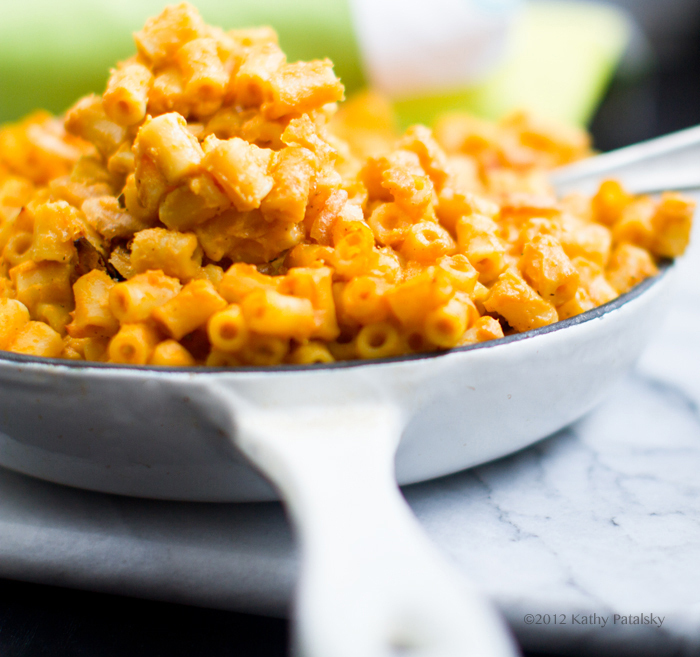 Mac and Cheeseless Pasta. Baked. 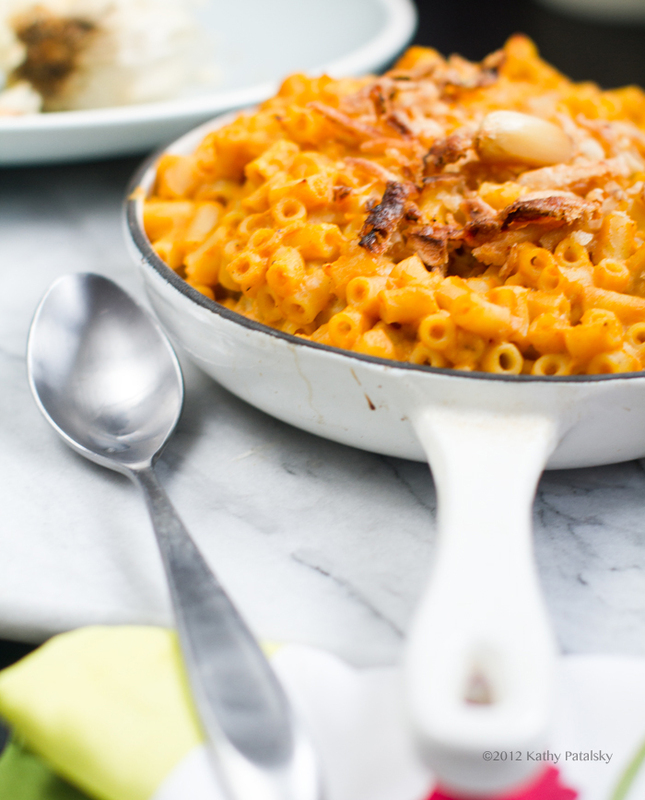 This Mac and Cheeseless Pasta is pretty dreamy. 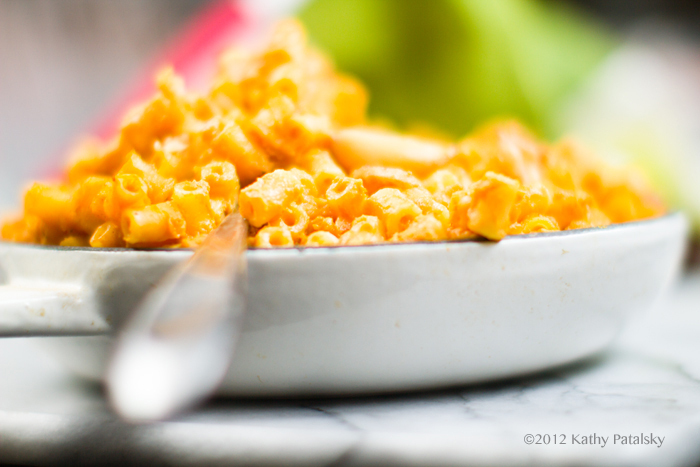 Editing these photos, all I wanted to do was take a dive, face first, into this cheezy deliciousness. Luckily, I had plenty of leftover cheezy mac in my fridge. 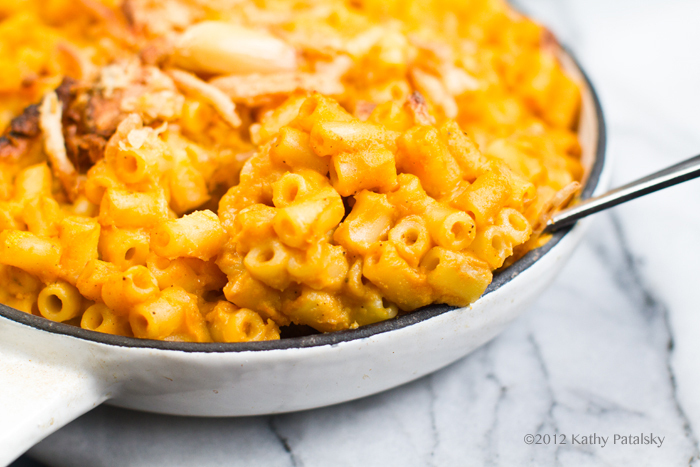 And lucky for you, if you want to try this bowl for yourself, the recipe is pretty simple. 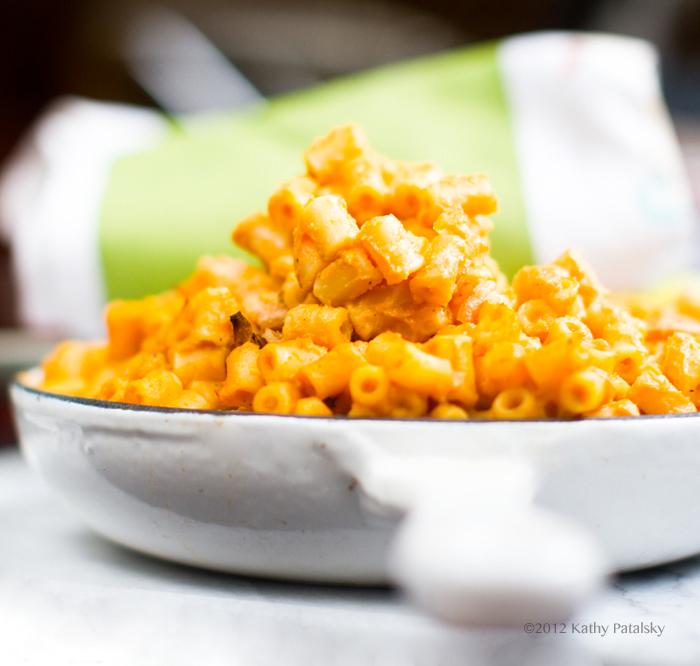 No, it does not taste exactly like real dairy-containing "Mac and Cheese" but maybe even better! Nutritional yeast cravings DO exist! 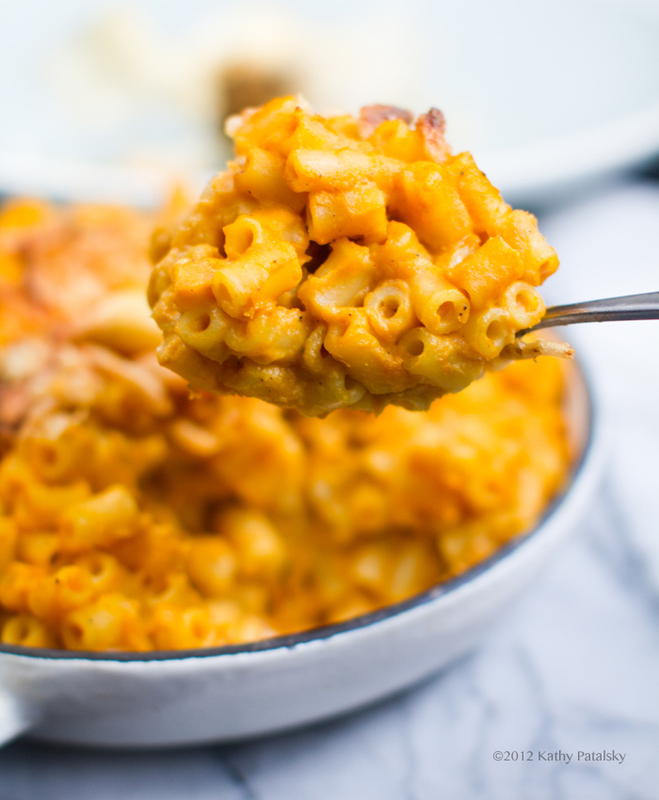 Today's recipe uses nutritional yeast, sweet potato, butternut squash, olive-oil-roasted garlic, a touch of Earth Balance and more to give it a rich, creamy, buttery, cheezy, savory flavor to crave. Take it one step more and bake your pasta into pure fluffy bliss..
Today's version is pretty simple to make. All your do is blend up the sauce, cook your pasta and toss. You can take it one step further and bake the pasta in the oven to make it extra amazing. 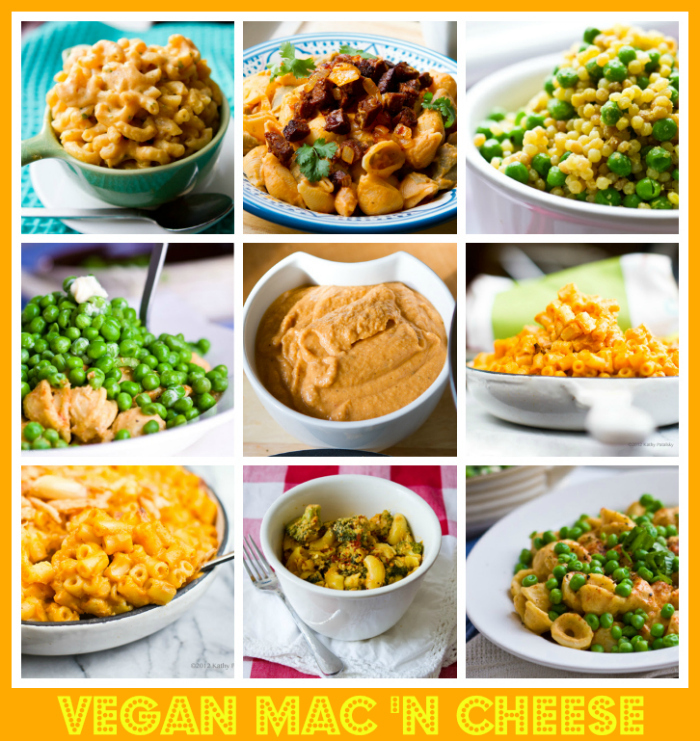 There are soooo many ways to many Mac/Cheez without cheese. 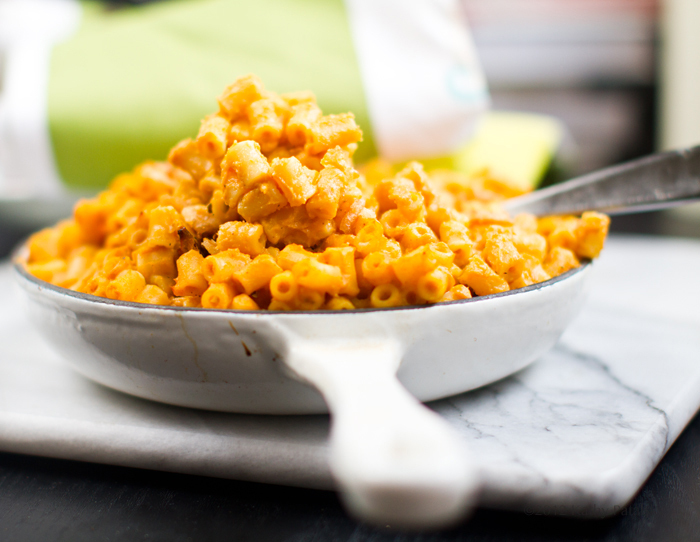 Some people use basic vegan cheese as the base (such as Daiya or Follow Your Heart brands.) And other recipes include a creamy bean or nut base. 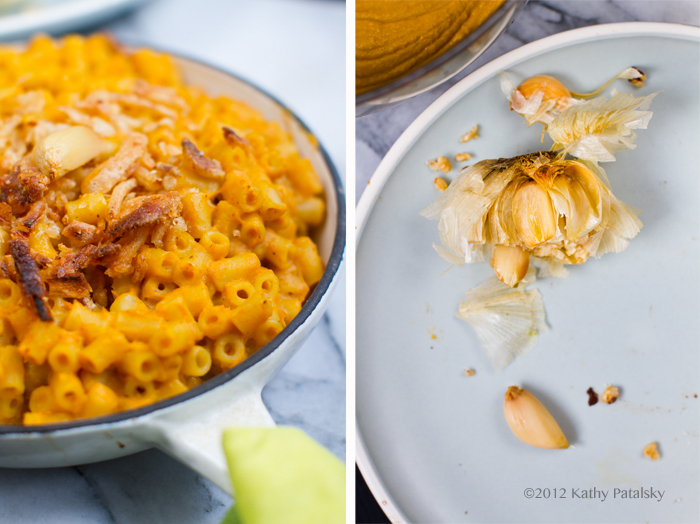 But my favorite is a blend of nutritional yeast and a veggie puree. Butternut squash, sweet potato or even pumpkin will work. If you do not mind a slight sweetness, go with the sweet potato. 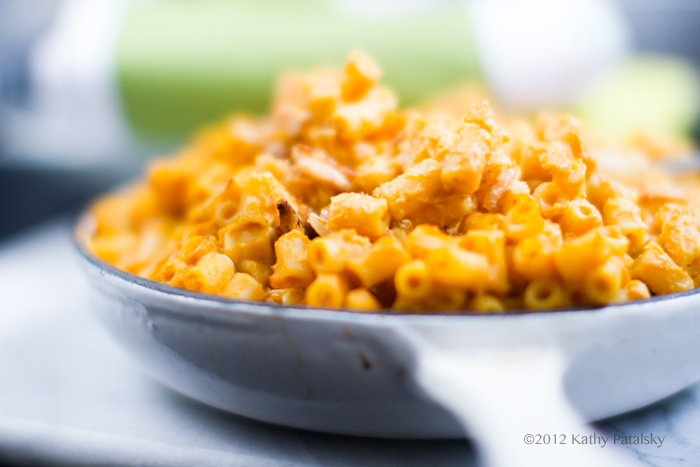 But if you like a more savory pasta, leave out the sweet potato and just use butternut squash or pumpkin. Or a mix of both. 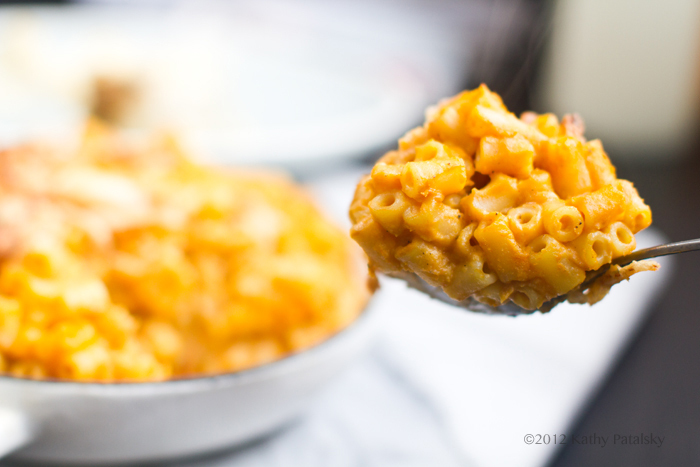 **Upon serving, add about 1/2 cup on cheeseless sauce for every 3/4 -1 cup of cooked pasta. Easy to modify based on how thickly sauced you like it. 1. Roast the garlic: Heat your oven to 400 degrees. Slice off the top of your head of garlic and place it in a large piece of tin foil. Drizzle olive oil over top garlic, close foil tightly around garlic and place in the oven to roast for about 25 minutes. When done, remove garlic carefully (hot!) and squeeze out the roasted garlic pieces. You will have leftover garlic - this can be used to make garlic rubbed toast to pair with your pasta. Or store leftover garlic wrapped in fridge to use in soups or other dishes. I love it slathered on toast. 2. 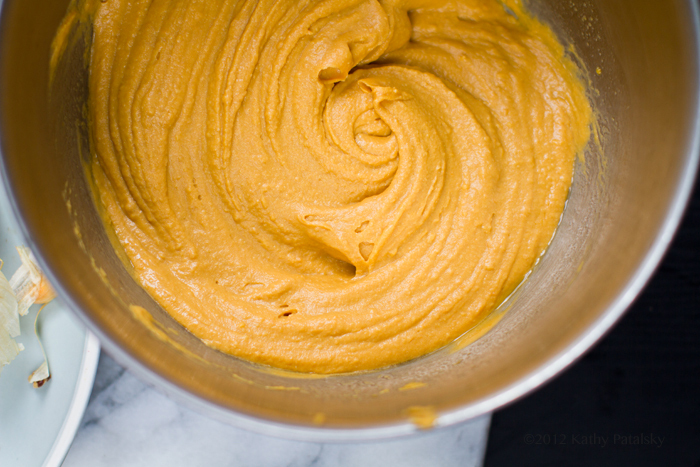 While your garlic is roasting, you can also be baking your sweet potato. Bake in the oven until tender. This usually takes about 35-45 minutes for a small potato. The oven can be set anywhere from 375-400. 3. Make your sauce. Add all the ingredients to a food processor or blender (Vitamix) and blend until smooth and creamy. Taste test and add more nutritional yeast if you'd like. Adjust other seasonings as well as desired. 4. Boil water in a large pasta pot and cook pasta until tender. Drain and transfer to a large mixing bowl. 5. Fold the sauce into the warm pasta until well coated. 6. Serve as is or transfer to a large casserole dish and bake the pasta at 350 degrees for about 20 minutes. I topped mine with some fried onion bits. Bread crumbs, extra vegan cheese (try Daiya!) or other toppings can be added before baking. Serve hot. Some freshly chopped parsley over top is a nice touch.